Sony Interactive Entertainment’s E3 2018 showcase will take place on Monday, June 11 at 6:00 p.m. PT, SIE Worldwide Studios chairman Shawn Layden confirmed on the latest PlayStation Blogcast. It will be live streamed on services such as Twitch, YouTube, and Facebook. 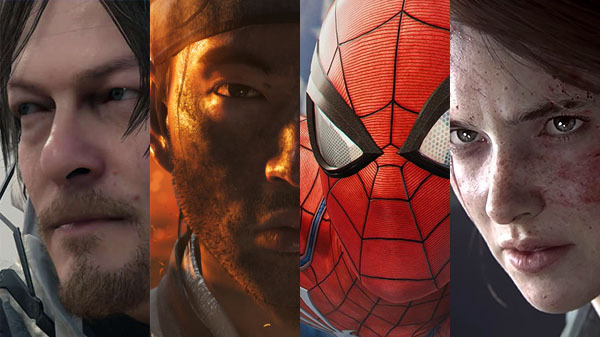 This year’s showcase will feature “deep dives” into four upcoming titles from Sony Interactive Entertainment: Death Stranding by Kojima Productions, Ghost of Tsushima by Sucker Punch Productions, Marvel’s Spider-Man by Insomniac Games, and The Last of Us Part II by Naughty Dog. “The last two or three years, if you were a careful observor, you’ll see that we continue to try to refresh and remake and reignite what we do at what used to be called the press conference for E3,” Layden said on the PlayStation Blogcast. “We want to make sure that it’s fresh and that it reflects the kind of stories we’re telling and the new entertainment we have to give to our fans—not just at the event, but worldwide through the live stream. “So today I would just like to talk about helping people understand where we’re going with the E3 event this year, and I’ll just come right out and say it. E3 this year will feature exclusive looks and deep dives on four upcoming titles—four of our big titles… We have great content. We have fantastic updates. I think everyone will be thrilled to see it. And we’re taking kind of a different angle on how we’re bringing it out. “And just as a reminder, those titles are going to be Death Stranding from Kojima Productions—we’ve got a complete new report for everybody around what’s happening with that title. A year ago we introduced the new Sucker Punch title, Ghost of Tsushima, so we’re going to go a deep dive into where the team is at on that—it’s going to be fabulous. From Sucker Punch and their great successes with the inFAMOUS franchise, for them to take on Ghost and all the ambition around that, you will not be disappointed when you see it.